Matt Glerum has more than 25 years of experience in the consumer-direct and multi-channel retail sectors and is currently CEO of Zoom Systems. His broad experience includes strategic planning and partnership development, integrated digital and print media marketing, apparel design and sourcing, as well as wholesale program development. His extensive leadership experience has been focused on accelerations, turnarounds and cultural transformation. 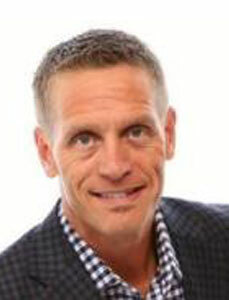 He joins Zoom Systems after leading the successful turnaround of TravelSmith Outfitters as its President. Prior to that, he served as Senior Vice President of Garnet Hill, where he led Marketing, Business Development and Ecommerce, and as Vice President of Sportif USA, where he was in charge of Marketing and the Consumer Division. During the first decade of his career, Matt gained unique business exposure and experience by working his way through a variety of roles at The Orvis Company, from fly fishing instructor and technical advisor to managing the flagship store, from product development and catalog management to ecommerce programming. In the fall of 2014, Matt and his wife, Candra, trekked in Nepal, visiting some of the dZi Foundation’s project areas. It was there that Matt began to understand the impact and extraordinary model of the dZi Foundation. Matt now sits on dZi’s Advisory Board.